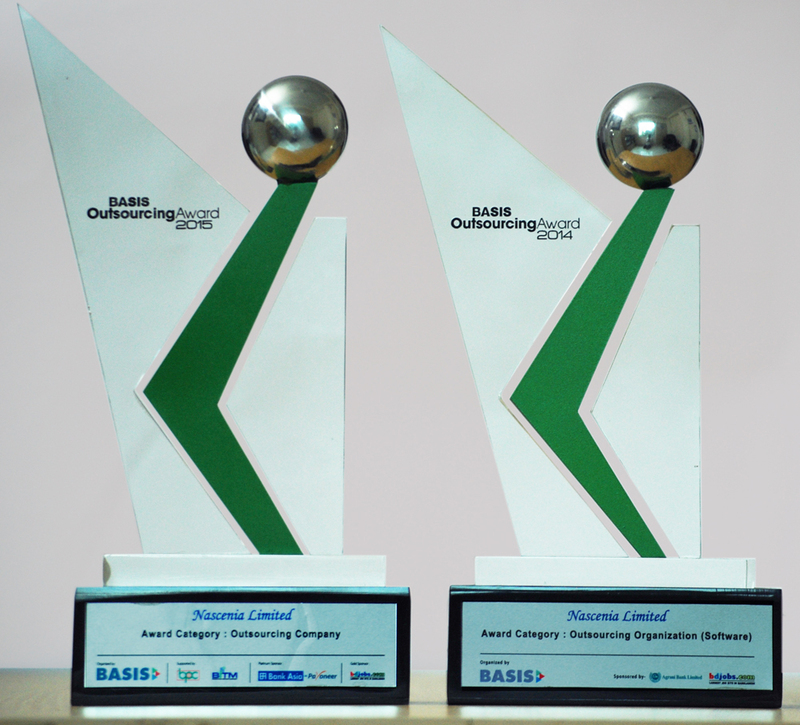 Team Nascenia won Outsourcing Award 2015 from Bangladesh Association for Software and Information Services (BASIS) for outstanding contribution in outsourced work. The team is humbled by such a prestigious award. This is the third year BASIS has awarded the companies and individuals who have made a significant contribution in the area of outsourced software and IT enabled services. It is the second year for Nascenia to win the award. Following were the criteria for the award. It is a great honor that we are being awarded for what we really enjoy doing. We thank our clients, team members, our community and the Almighty for staying by our side. We are grateful for what we have achieved in five years of our journey. Without their help, support, commitment and dedication, that would not have been possible. 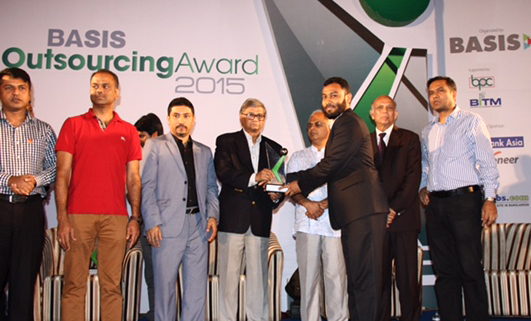 We specially thank BASIS, for recognizing our team’s talent. Outsourcing is flourishing in Bangladesh and BASIS is taking a holistic approach to the growth of the industries. It’s initiatives like matchmaking sessions, training, seminars, government lobbying, collaboration with international organizations are praiseworthy. Thanks to government, ITC (for NTF) and CBI for their initiatives. The recognition will sure fuel passion inspiration for us to achieve more in the future.